I’m just gonna come right out and say it. Your web hosting can make or break your business. It’s a bold statement, I know, but it’s the truth. 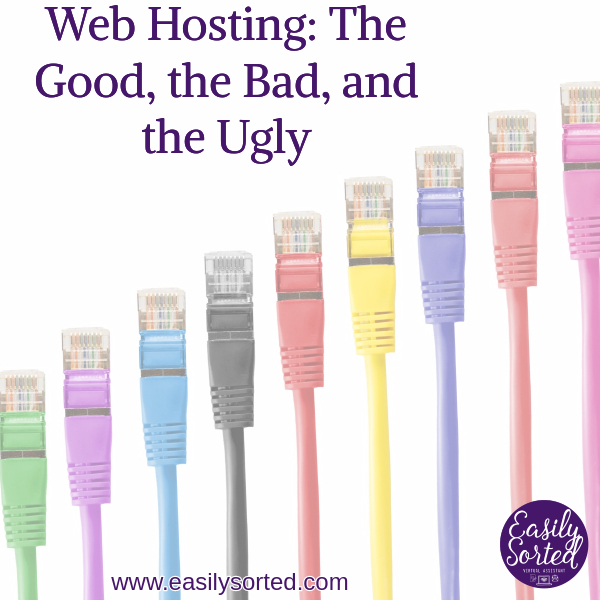 If your website is on a dodgy host, it affects how people see you. Even whether people see you at all. 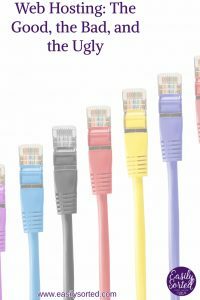 These days, so many companies offer web hosting that it can be confusing and overwhelming trying to decide on one for your business. It’s tempting to go with the cheap one, especially when you’re just starting out with a small budget. I have to warn you, though – the cheap option is cheap for a reason. The first time I ran into this was with a client’s website. I installed a few plugins, and a nice premium theme. After I installed the theme, the site returned a blank page. Now, most people wouldn’t know what to do at this point except throw their hands in the air and panic. But WordPress is what I do, so I know a few tricks. I went into the filesystem, deactivated the theme, and reloaded the page. The site worked fine again, but without the fancy theme. In this case, I contacted support and they increased the memory limit for the client. But other hosts were not as accomodating. Another client experiencing similar problems had to move her sites to another, better host. A few months ago, I had a client who said her website wasn’t working. I figured I’d be able to work out how to fix it, because it’s what I do. And failing that, my husband is a former IT guy who still keeps up with the industry, so I’ve always got him as a backup plan. Well, colour me surprised when I tried every trick I knew, and the site was still showing an internal server error. She assured me that the site worked when they set it up, but as hard as I tried, I couldn’t fix it. Support said there was nothing wrong on their end. And my backup plan? Yeah, he couldn’t do anything either, because like many web hosts, they don’t give you the access to the server that he would have needed to fix things. About a year ago, my client, Eva Van Strijp, found out that her web hosting account, along with hundreds of others, was being sold to another company. The new company handled the migration badly, so that for several months, her Seedling Baby website wasn’t even loading. It turned out that the new company had only updated the DNS records for her main website, but not Seedling Baby, meaning that the Seedling Baby website was still pointing to the old host – until the old host finally deleted those records. After Eva’s sites were moved to a new host, she experienced her first website hacking. A few months later, it happened again. And then again. It seemed suspicious to me, so I decided to check it out. I discovered that many people who’d moved to the new host were having the same problem. Some had even lost all their files. I immediately recommended moving to a more reputable host, and by the end of the week, both of her sites were working on the new server. 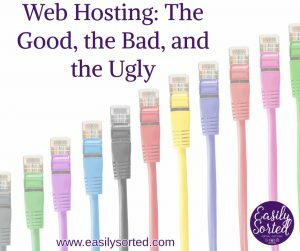 So what do I recommend for web hosting? First, before you sign up with any hosting company, do your homework. Do a Google search for reviews of the hosting companies you’re thinking about going with. Ask on Facebook groups. Really check them out. Second, don’t let price be your only consideration. Look at other things, like how much space you’ll have, transfer quota per month, number of websites you’ll be allowed to have, etc. Is phone support important to you? Or are you happy enough with email support? You should consider these things as well. These days, I recommend SiteGround for your web hosting needs. I’ve worked with several clients on SiteGround now and I’m very happy with how everything works. The plans are affordable (you can get started from $4.95/month), their support is prompt and helpful, and they have lots of features that make it easier for us tech heads to manage stuff for regular people. Oh, and as if that weren’t enough, they also offer Let’s Encrypt SSL certificates by default, at no charge. Which is a pretty darn important thing to have on your website if you have any kind of user login (like your admin login). Note: I’m an affiliate for SiteGround, because they’ve been pretty awesome. So if you sign up with them through my link, I may receive a commission.